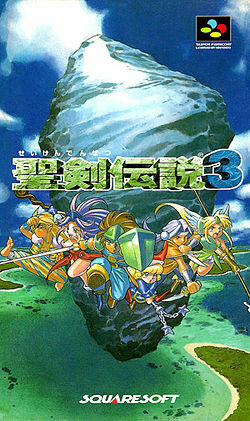 Back in the SNES era, there was a sequel to Secret of Mana called Seiken Densetsu 3. An incredible RPG with gorgeous sprites, an interesting story and tons of cool features, the game got good reviews from pretty much everyone who played it and is now seen as one of the best RPGs on the system. There was just one problem with it. The game was never released outside of Japan. There was evidence it was meant to at one point (like magazine pictures and official statements). And there was talk of naming it ‘Secret of Mana 2’ as well. But it never happened either way. The rise of the PlayStation and other modern systems meant the game was seen as a poor choice to release in the West, and the cost of localising it made Square reconsider in general. However, it seems things may be about to change! Why? Because on the official series Twitter account today, a very interesting tweet was posted. Namely, this one showing the game running on the Nintendo Switch! And this is interesting for a multitude of reasons. For one thing, the game was never released on the Virtual Console (or other digital download services) to begin with. No, not even in Japan. As a result, this means that Square Enix is likely interested in releasing it there now. Which given the lack of region locking for the Nintendo Switch, means that people from outside Japan will be able to play it anyway. More interestingly though, there’s the possibility of the game receiving the Earthbound Origins treatment. This would let the game finally be officially released to those from other regions, would provide another possible classic revival (alongside Mother 3 getting its own possible translation) and please a lot of people at the same time. Either way, it seems like Seiken Densetsu 3 now might be coming to the Switch at one point. So hey, what do you think? Are you interested in the game now it may be made available again? And what form do you think it’s Switch release might take?